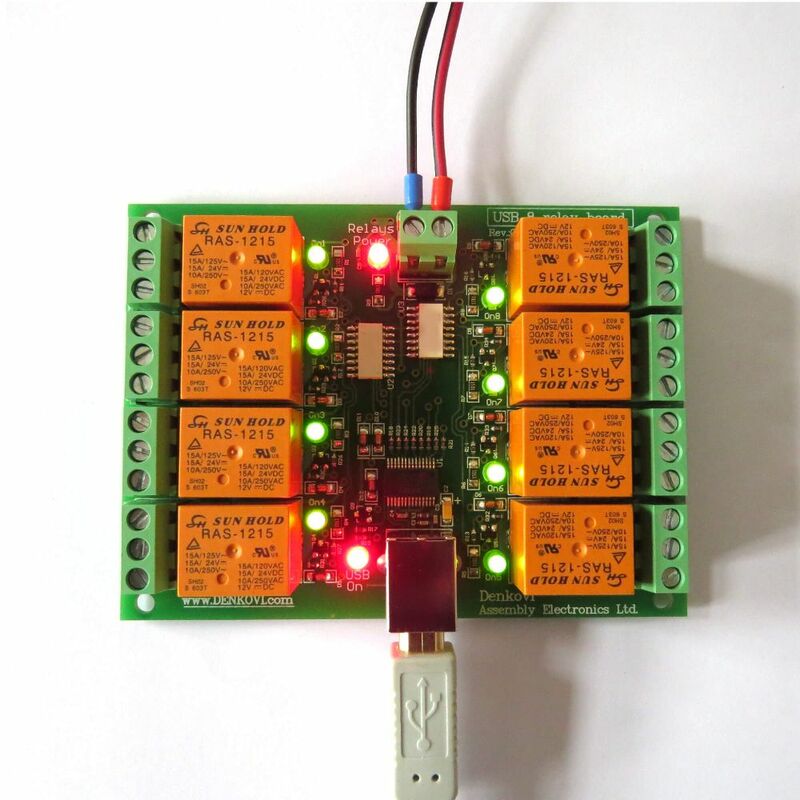 This is relay board with 8 SPDT relays which is controlled via USB protocol. 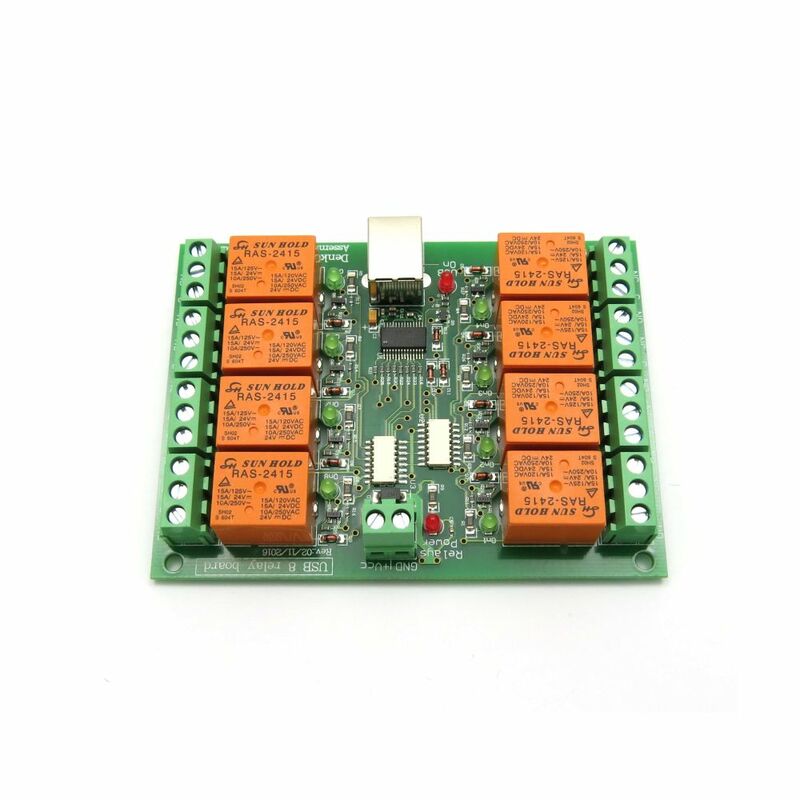 The main purpouse of this relay board is to help you building projects regarding robotics and home automation. 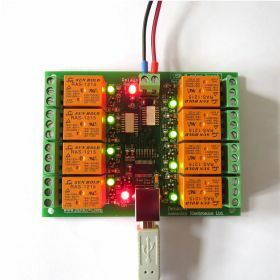 You may control differenet electrical devices like lights, DC motors, pneumatic cylinders, lasers and so on. Hints for creating user application in different platforms (Visual C++, Borland C++ Builder, Visual Basic and so on) are provided. 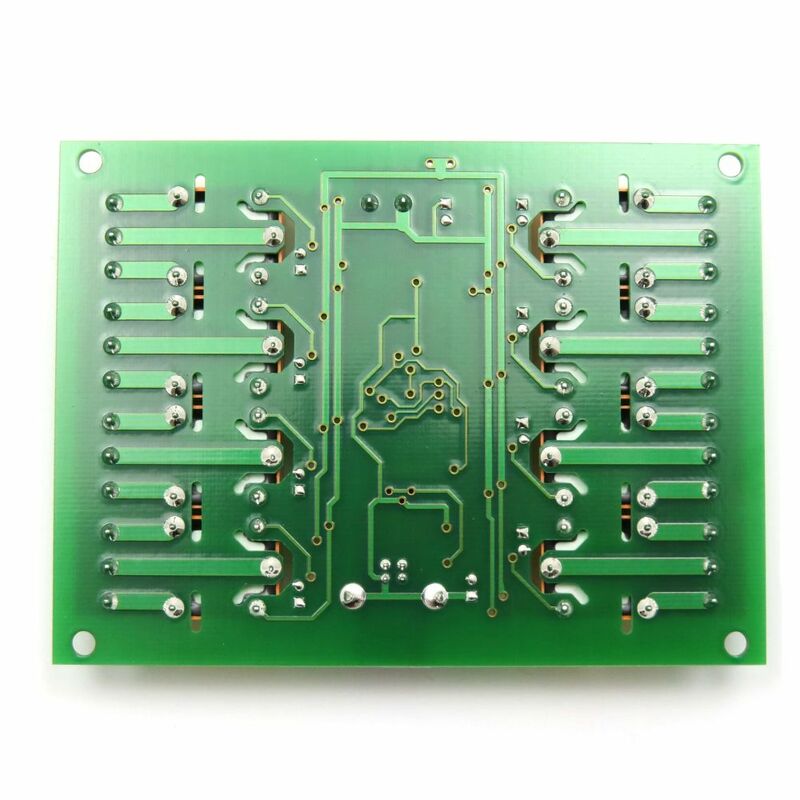 Each such board require one USB port. The more USB ports you have the more Relay boards you may connect. We have Windows examples for VB6, BCB6, Java (netbeans), VB.NET 2010 Express, C++.NET 2010 Express - please contact with us for more details. 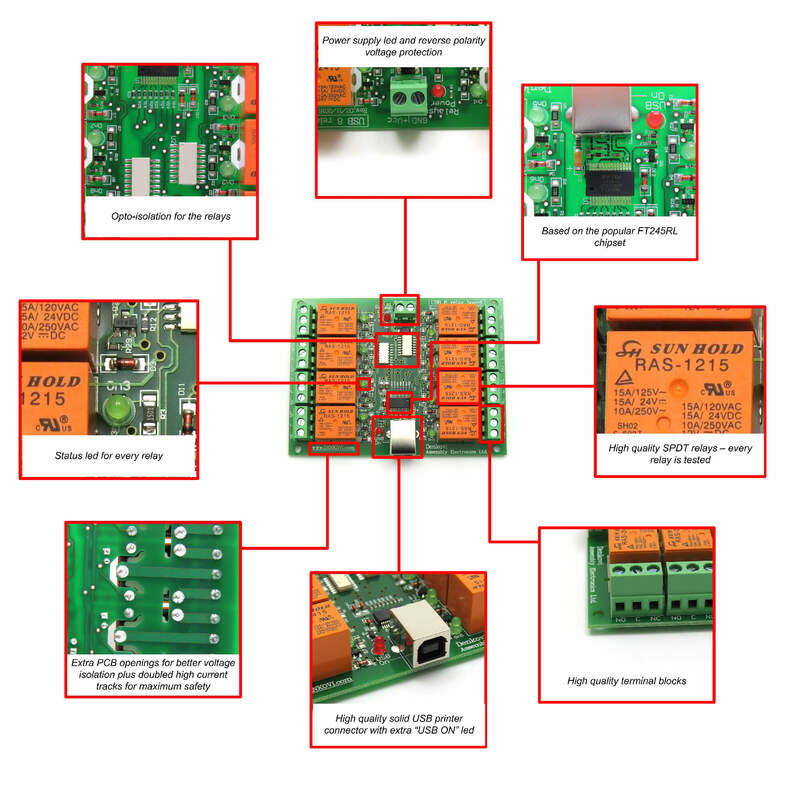 Each such board is shown as separate virtual com port (VCP) on your PC. 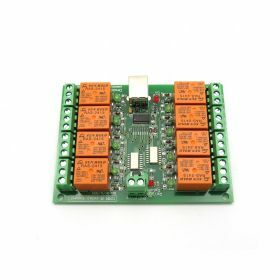 The relay board outputs are controlled by FT245RL. It has 8 bit data output register. 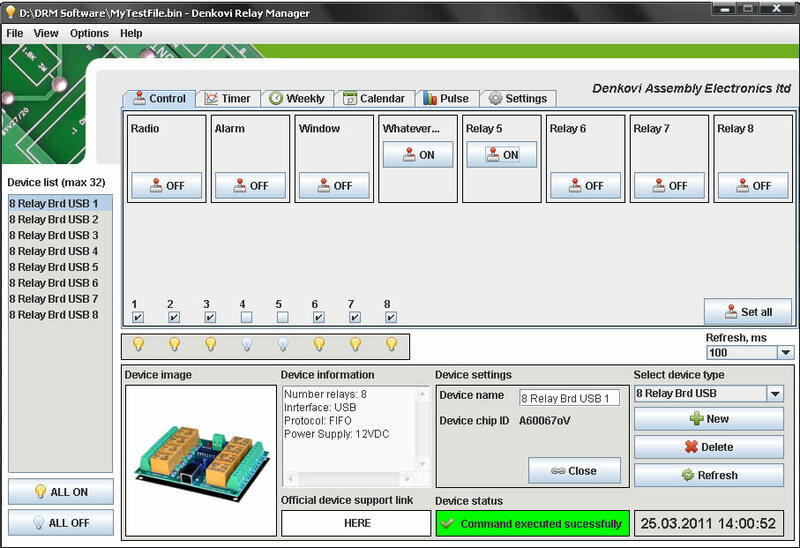 When data is sent to the register the outputs are set. Be sure "Synchronous Bit-Bang Mode" is selected! 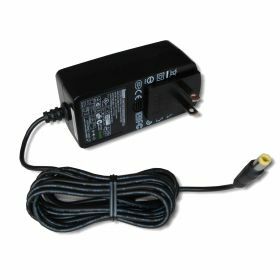 FTDI provides Bit-Bang Mode documentation. See here. 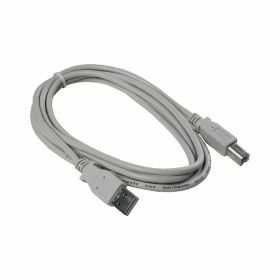 The board is tested with 10 meters USB cable and works fine. 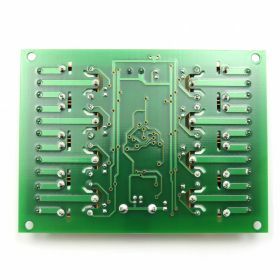 The board can not work without computer. Demo video how you can control the USB 8 Channel relay board from command line, browser and tablet the same time because of our command line tool. This is application that allows the USB 8 relay board to be controlled from your PC. There is two modes - Manual Mode and Timer mode. You may open many USB boards and select wich one to control. There are 8 indicators representing each relay channel led from the board. 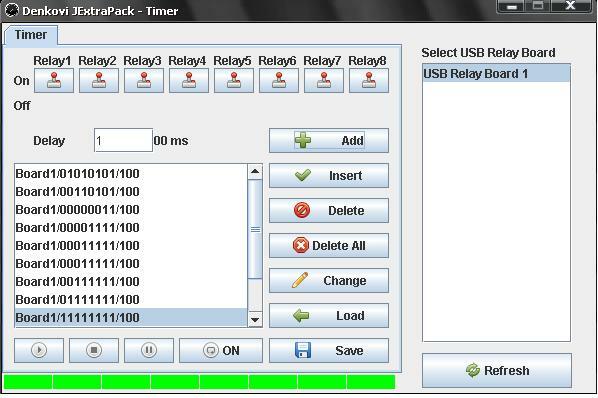 Denkovi JExtraPack contains 3 applications. Each of these applications are written in Java, so JVM is required. 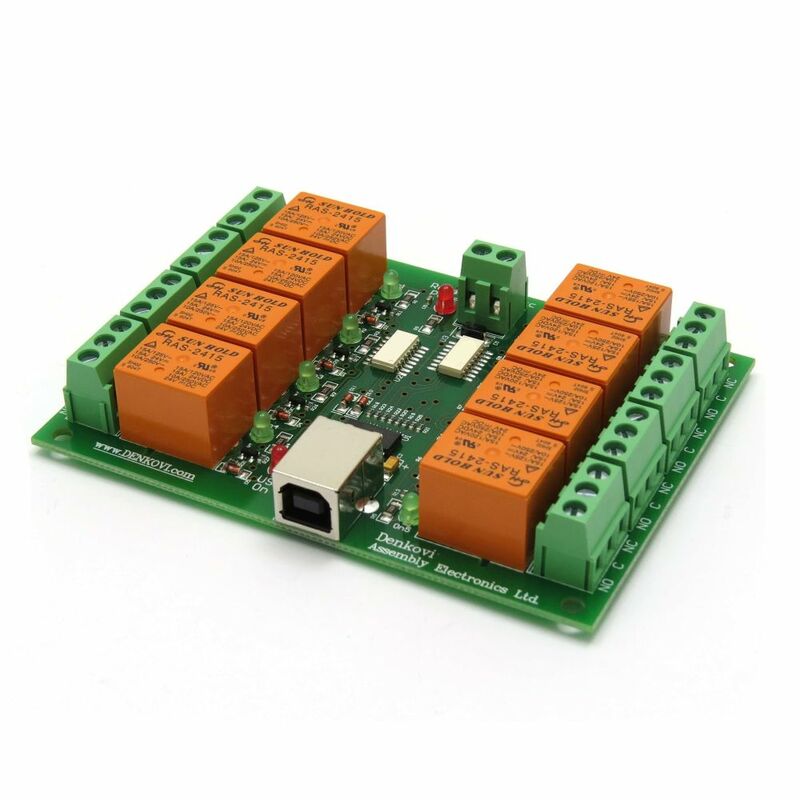 Each application can control up to 10 USB relay boards so you will need of course FTDI VCP drivers. We provide single installation file and everithing is included in it. Some of the source code demos are not public, and the download links will be sent to your email after purchase or by request. 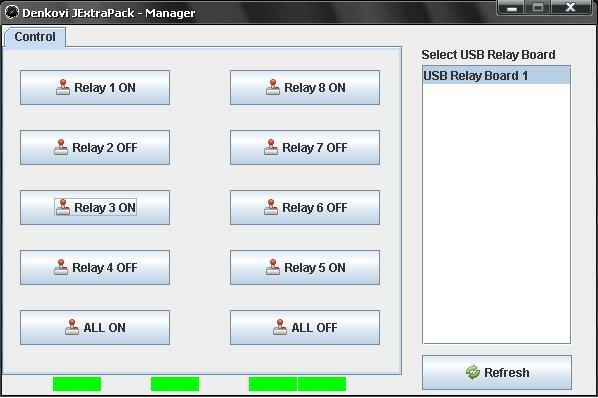 Delphi Lazarus - example how to set the status of the relays. 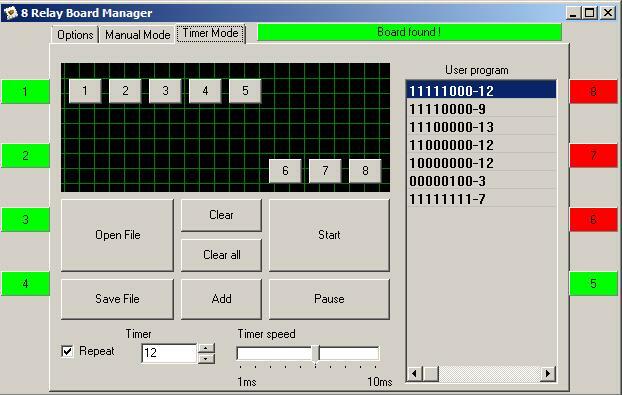 QT C++ - windows example how to set and read the status of the relays. JAVA (netbeans) - Example how to set/get the relays and I/O status. 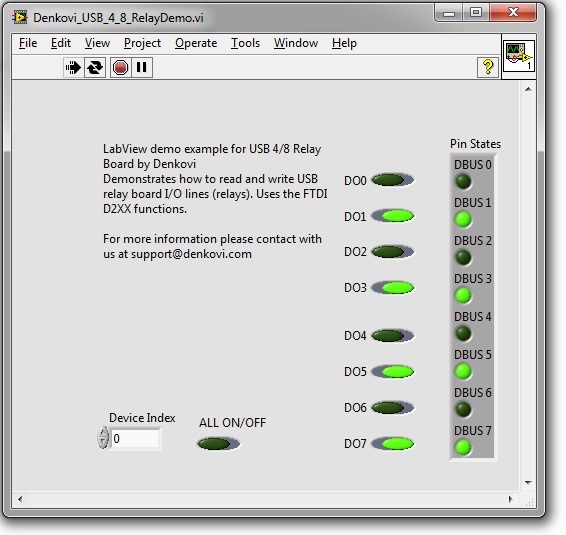 LabVIEW 2011 (screenshot) - Example how to set and read the status of the relays. For download please contact us. The new version is more than great! 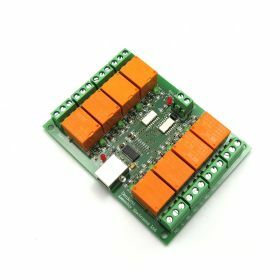 Your relay boards are awesome! :) Thank you! WOW! This is one the most versatile pieces of equipment I have ever owned! 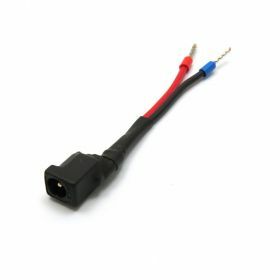 I run an internet radio station and I use it to switch audio outputs on two different computers. There are so many other uses I will find for this device. This is exactly what I was looking for at a fraction of the cost I thought I was going to have to pay. Thank you so much! 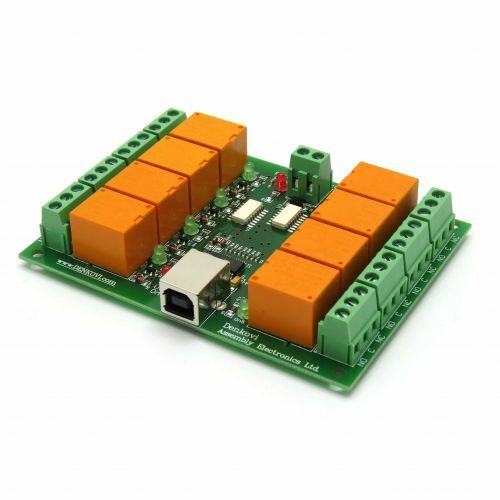 this usb relay bord is very good.it can be use on so many things and do so many things.i got my home and garden running on it doing all difrent things.it ben running for the last 3 years and still going strong.